Perry, G., Zhu, X., Smith†, M.A., Sorensen, A., Avila, J. 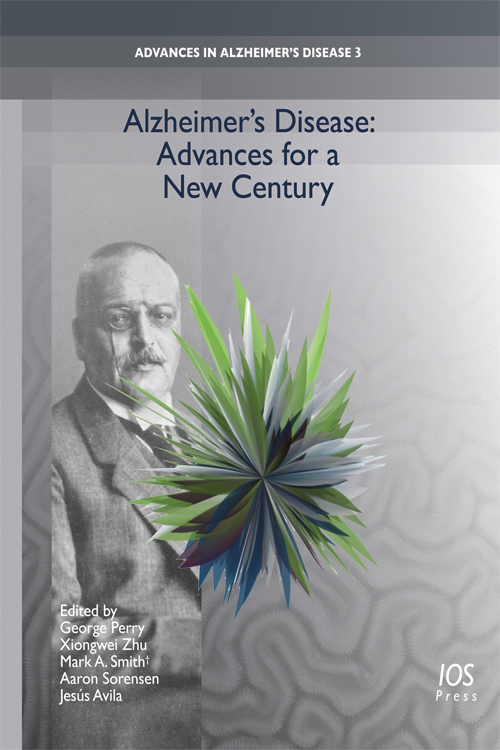 This volume is a companion to the highly successful book published in association with the Journal of Alzheimer’s Disease (JAD) on the centennial of Alzheimer’s discovery Alzheimer’s Disease: A Century of Scientific and Clinical Research. Using scientometric analysis the most promising developments since the Alzheimer Centennial in 2006 have been identified and substantiated. While prior trends and advances in genetics, amyloid-β, tau, neuropathology, and oxidative stress remain important, emergent areas impacting our understanding of the transition from normal cognition to Alzheimer’s Disease such as diagnostic imaging, biomarkers, metabolism and lifestyle (areas conceived only a few years ago) now dominate the debate. Invited contributors have summarized their landmark publications identified by our analysis and have put them into perspective, explaining the impetus behind the work, the contribution of the results to the field and who played a role in the work.